Being a person that likes to wear trousers, I am a big fan of the all-in-one. It is the tomboy equivalent to the dress - easy to wear as you don't have to co-ordinate tops/bottoms and instantly striking as it swathes your body in a large amount of one fabric. I was wearing a homemade all-in-one whilst on holiday in Croatia last year, when a girl approached me and said in a heavy American accent, "I like your... uh... romper." Never before had I heard that word, but I loved it. 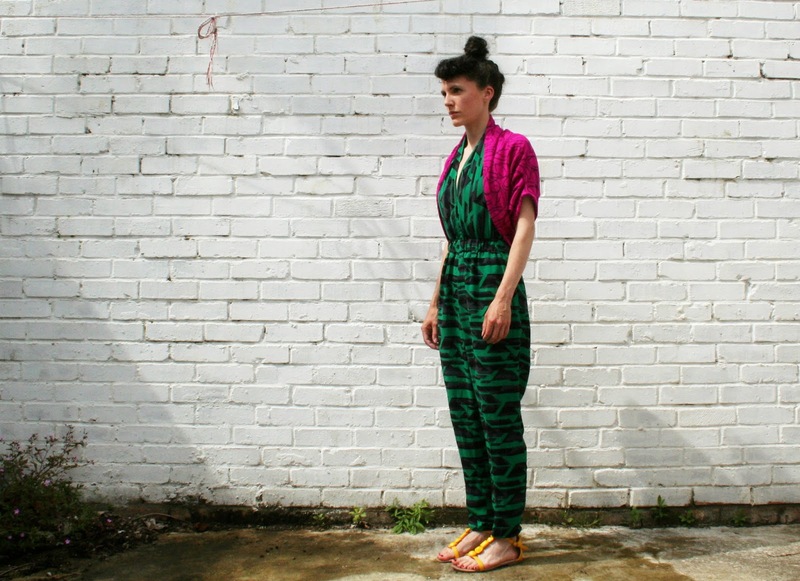 The all in one has many names; playsuit, jumpsuit, romper, onesie, one-piece, unitard... There are probably more that I don't know about. 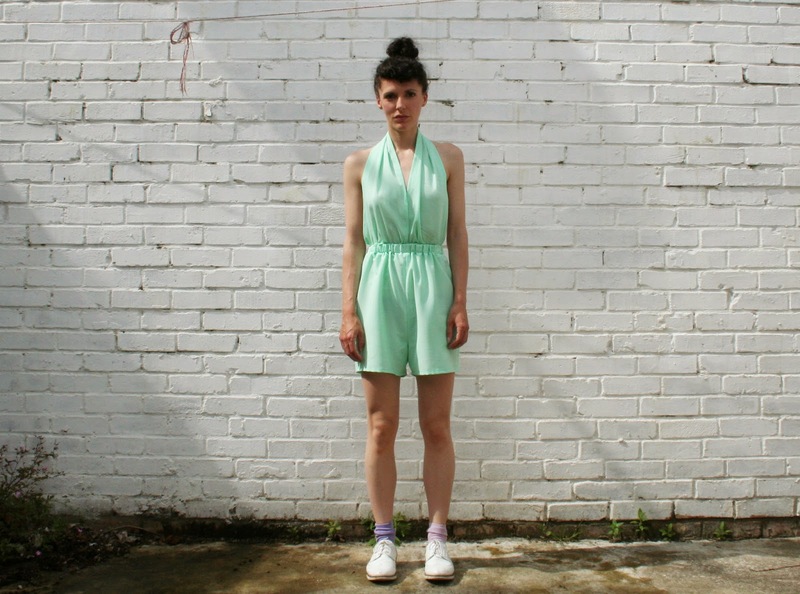 When designing an all-in-one for my DIY Couture mega book I decided to call it a romper. Not only does the word seem to conjure up the joyfulness denoted by 'jumpsuit' and 'playsuit' but it has a sort of boisterous, action-packed determination about it. I made eight versions of the romper to be displayed in the book. The last one I made was the 'Safari Prep' version and it differs from the others. It is shown here on the top row, second from the left. The 'Safari Prep' romper is actually a sort of Frankenstein's monster of a garment. It is a hybrid piece that uses the halter top of the Goddess Dress (shown on the left below) and attaches it to shorts or trousers (on the right below) to create a backless all-in-one. I have become fairly enthusiastic about this design and have made a number of versions for myself in different fabrics. 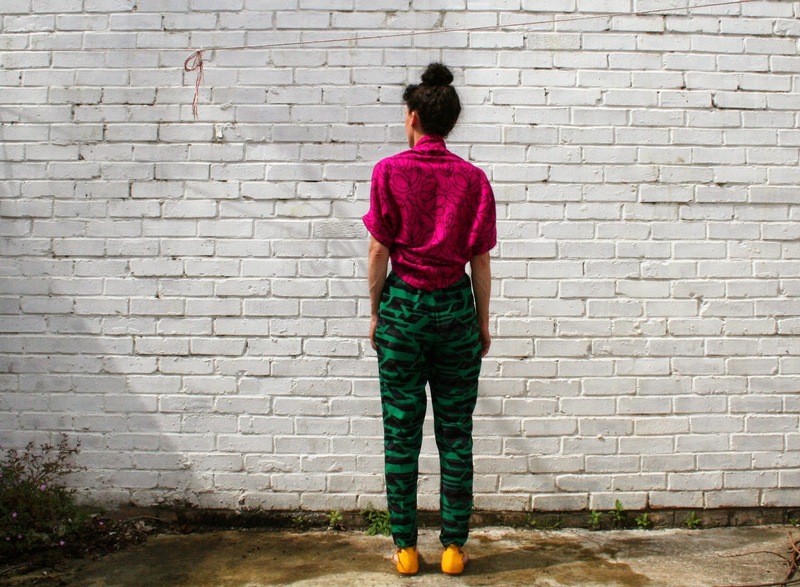 I taught people how to make this garment in a one-day workshop at The Papered Parlour. The Papered Parlour decided to name the all-in-one a playsuit, which does seem to be the generally agreed upon term for an all-in-one that has shorts rather than a full length leg. I think most people would agree that these colourful all-in-ones should be called onesies, but they are also known as Zentai suits. Here are my versions of the playsuit. The first is made from a fairly floppy but robust floral print fabric from my local fabric shop, Mermaid Fabrics. Here I am attempting to soak up some of the 5 minutes of sun we have had in Britain so far this year. I made quite a wide halter piece as I wanted it to extend around my sides to the back. I think I could have made it even wider. Believe me, it feels good to have a backside covered in flowers. Here I am dropping an elephant. This is a full length version of the playsuit (is it still a playsuit? Argh!) made with a very cheap fabric that I discovered is 100% non-breathable when I wore it to my book launch. The air conditioning at the venue had broken resulting in tropically slippery legs. I am wearing it here with a homemade shrug, to show that it can be made into more of a demure garment, for those afraid of fully exposing their back. The third version is made using a thin and extremely floppy polycotton, in a minty eggshell colour that designers have gone crazy about this summer and have termed seafoam green. This isn't the best photo of me but I think it shows the shape of this playsuit well. It has quite a narrow halter top with slightly flared shorts. It's Wimbledon season and I can't help thinking there is something tennis-like to this outfit. Here I am doing my best to look like Venus Williams. The all-in-one has taken the high-street by storm, it is all over ASOS and can also be seen marching down the couture catwalks. My hope is that people will use my DIY Couture instructions so that they can learn how to make their very own. 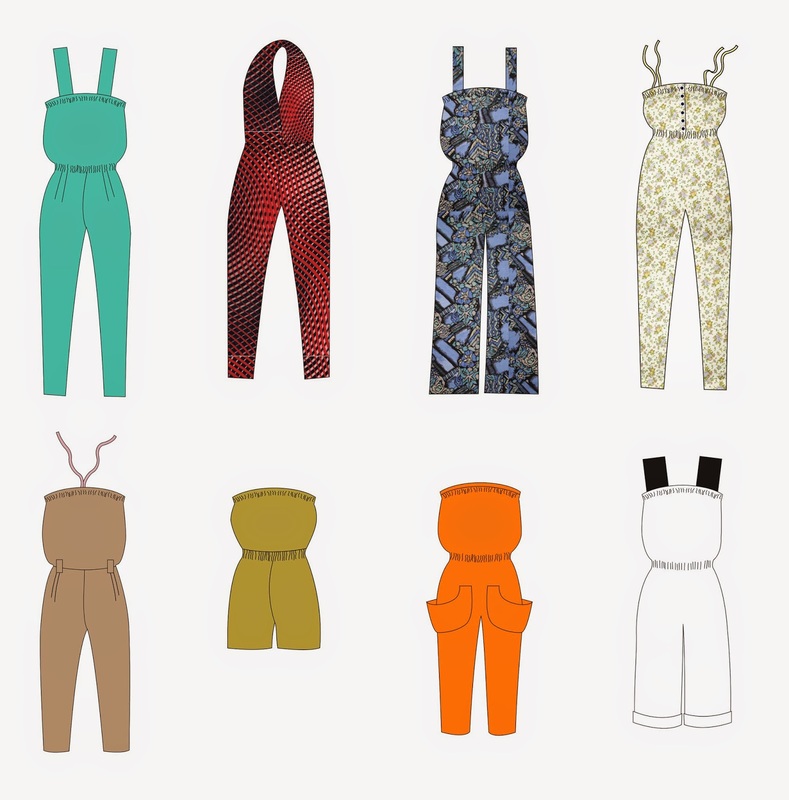 There are even more ways to make the jumpsuit than there are ways to name it. If it is a business priority then it is reflected in all aspects of the organisation, to ensure that decisions are made with their sustainable clothing effects in mind.